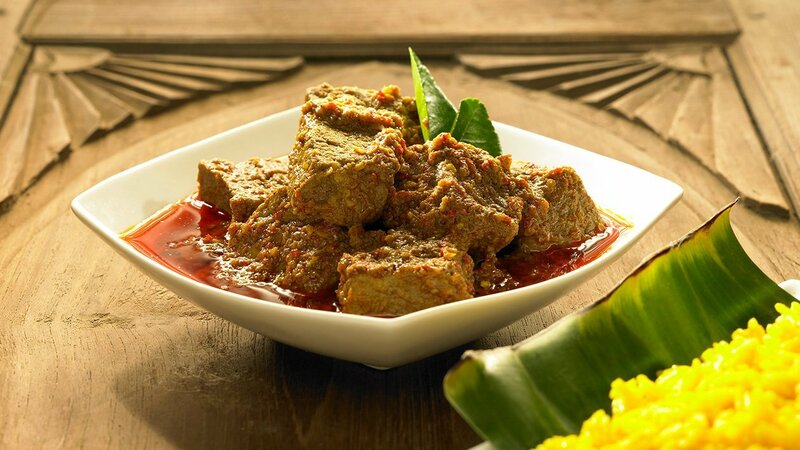 Rendang and Padang, a warmth combination taste. The authentic of seasonings seeped in, savory and elastic processed spicy meat, trully maestro of typical archipelago culinary. Heat Oil. Put in red chili, turmeric leaves, bay leaves, lime leaves, and lemongrass. Add Royco Spice Base Rendang. Stir until well blended. Add beef. Stir until the meat changes colour. Add the coconut milk, mix well. After boiling and become kaleo, stir occasionally so as not to burn. Stir the rendang until it turns out the oil, the colour becomes red. Stir the rendang until the colour turns to black. Turn off the heat, lift, and serve.